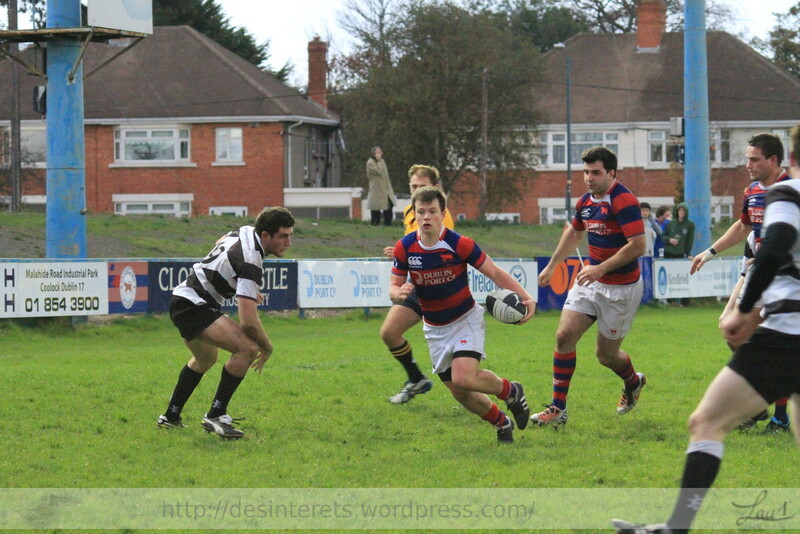 Third Trip of the week to Castle Avenue. 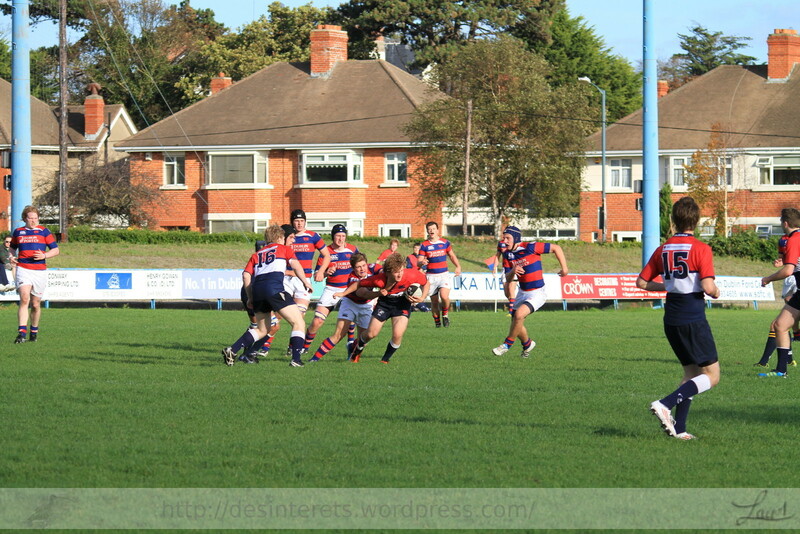 The J1 Hosted Old Belvedere For J1 league cup Final. 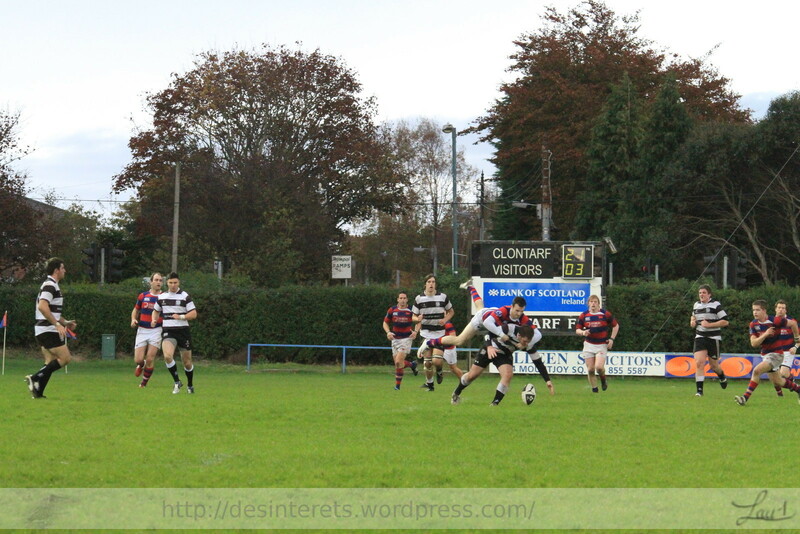 After a slow start but With a defence that was to prove their strength, the Clontarf Reserves began to pull away. 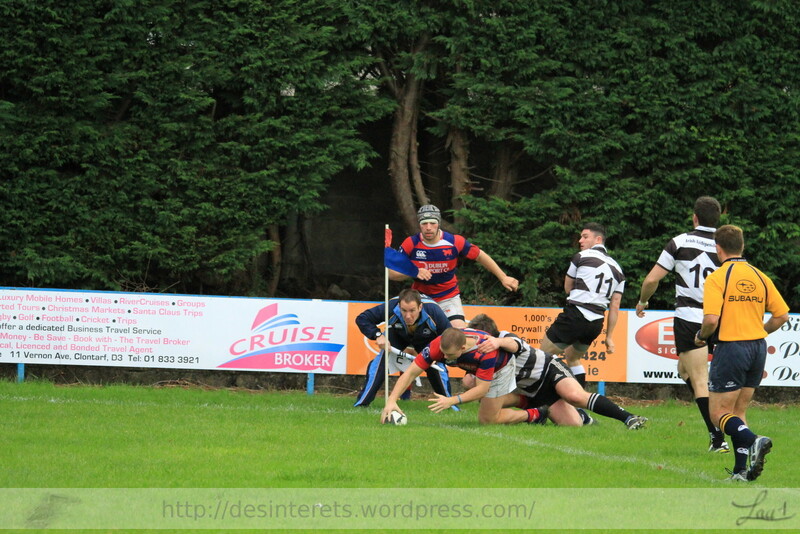 Half time 12 -3 With a try under the posts and one in the Corner. 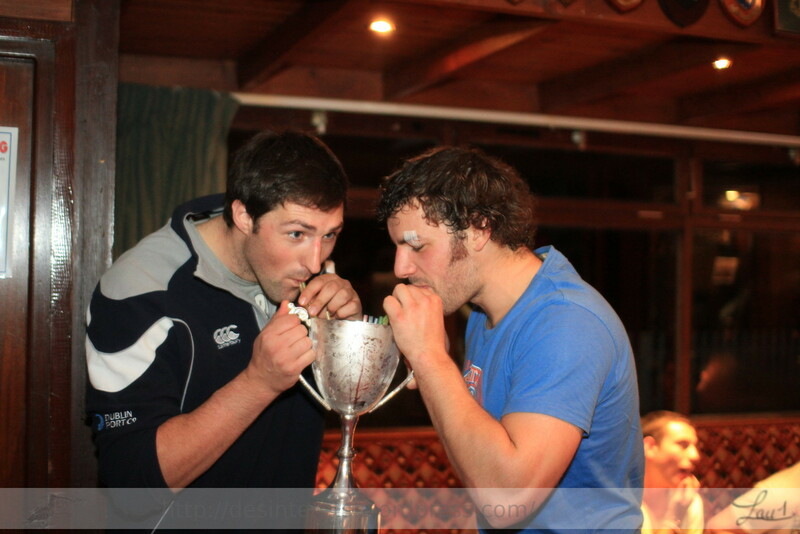 The second half was similar allowing ‘Tarf to take the cup. 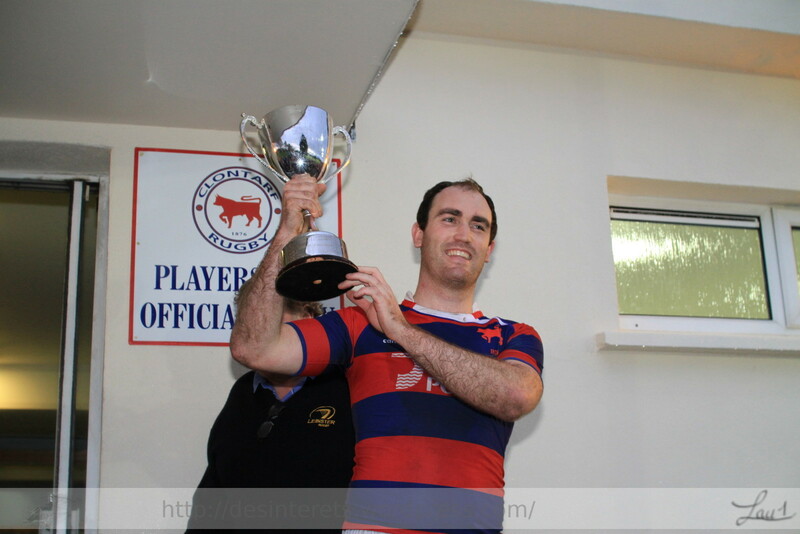 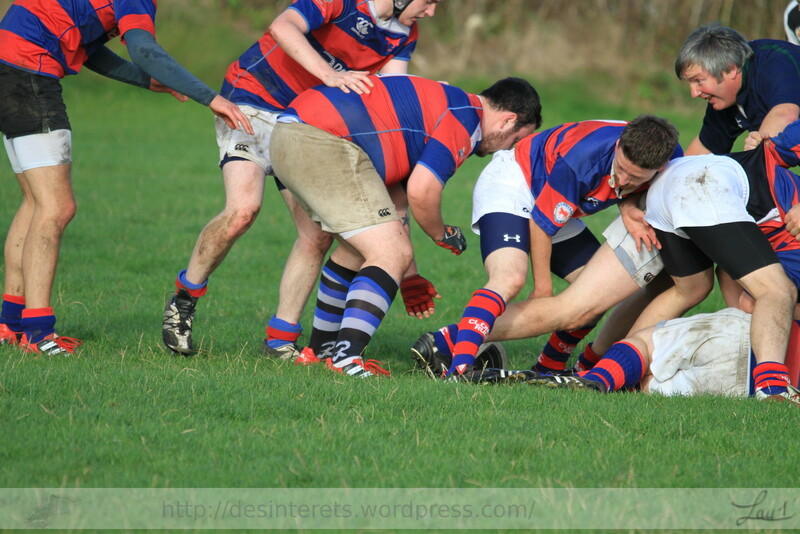 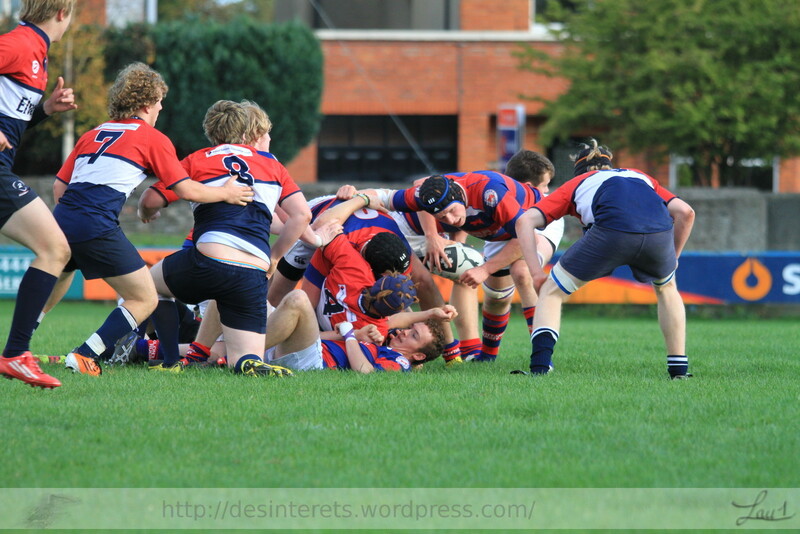 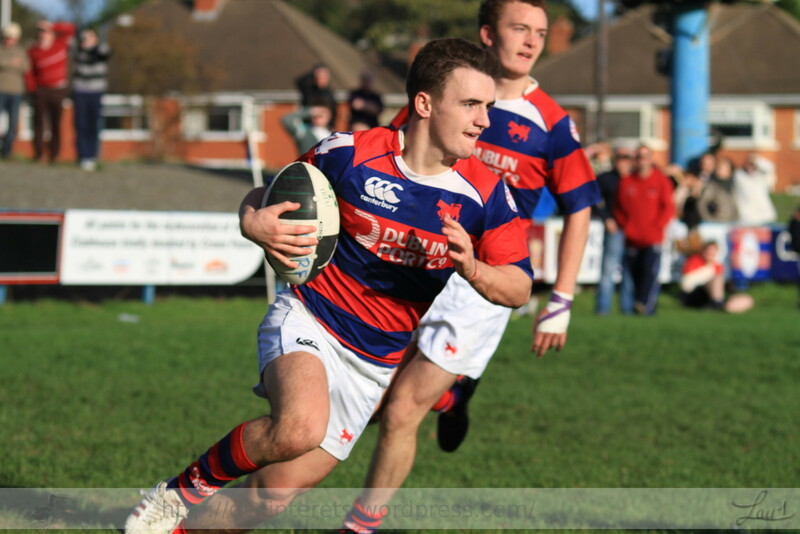 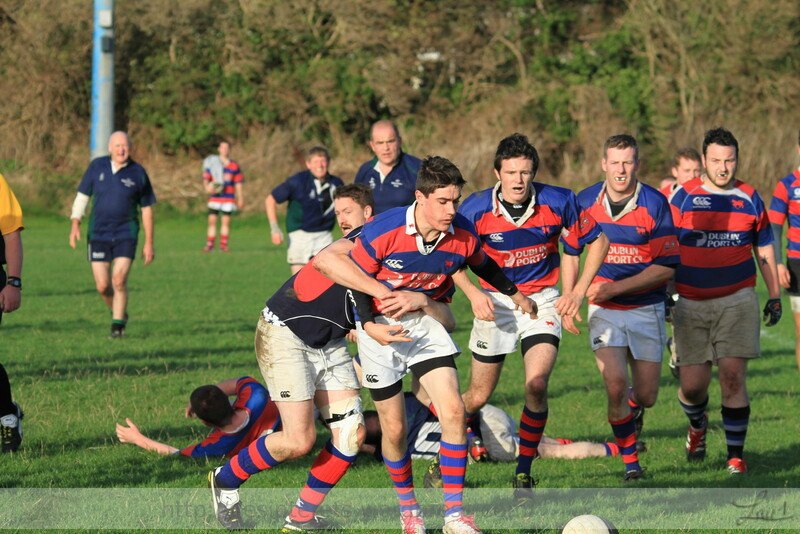 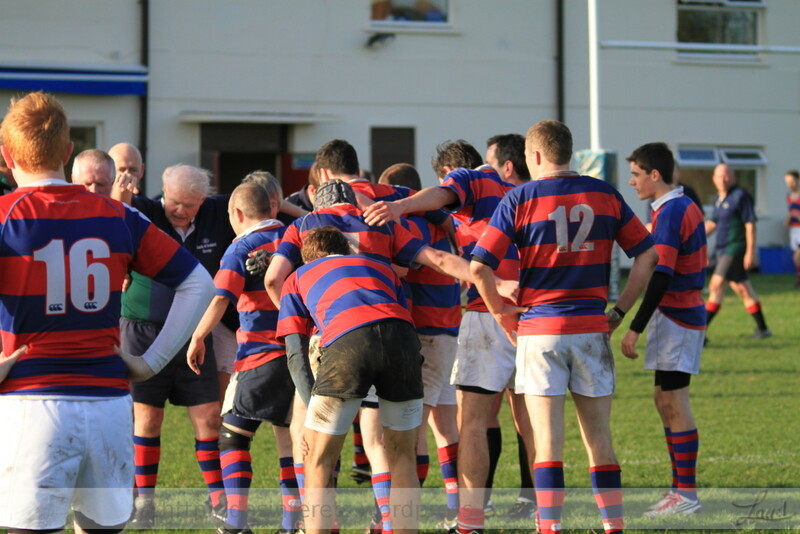 Clontarf Junior Rugby teams have recruited well and some are short of game time. 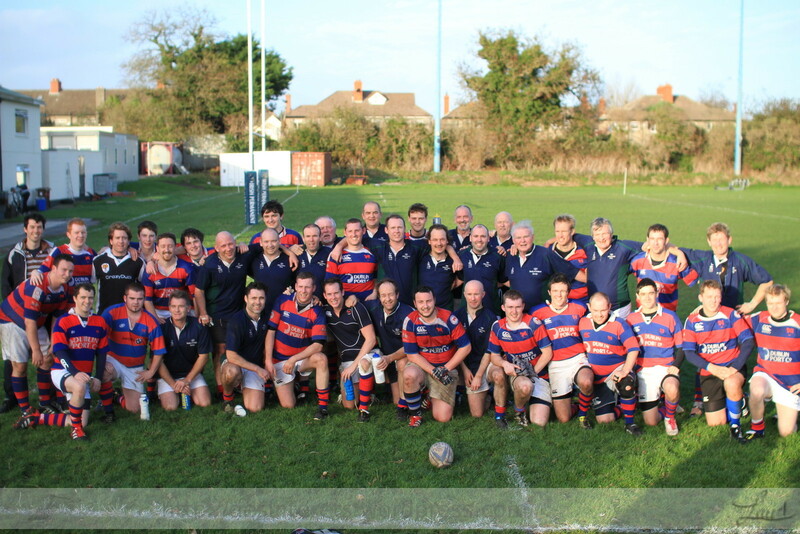 The Golden oldies dusted their boots and Played a Fun Game In a Lovely Autumn afternoon. 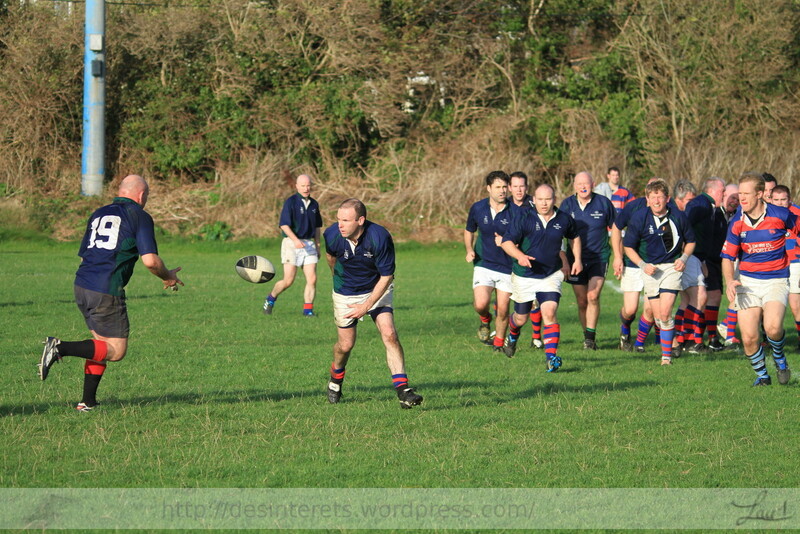 Final score was 7 tries to 5. 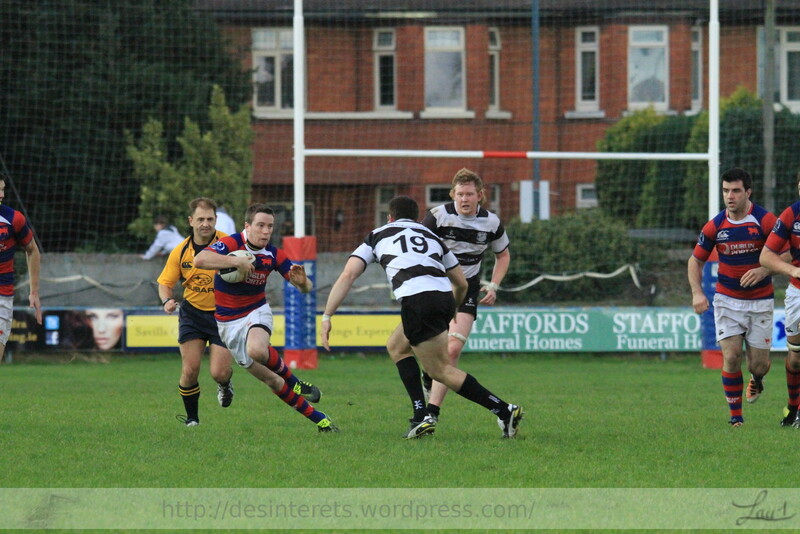 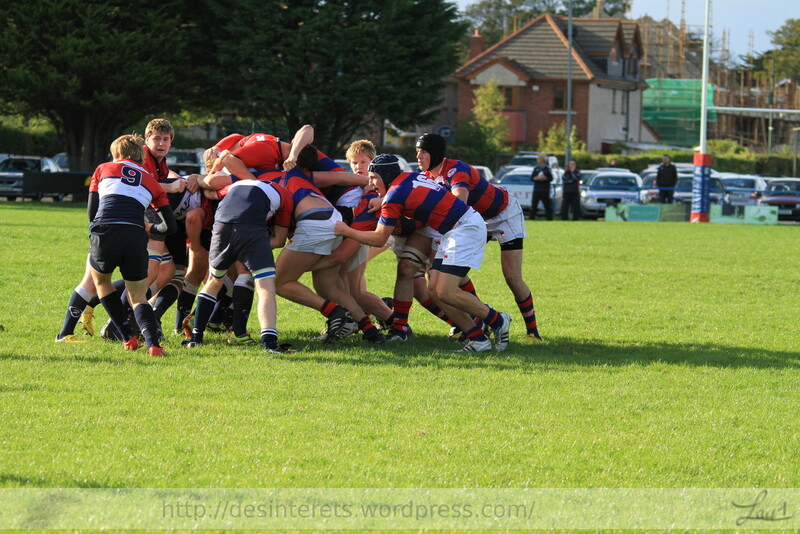 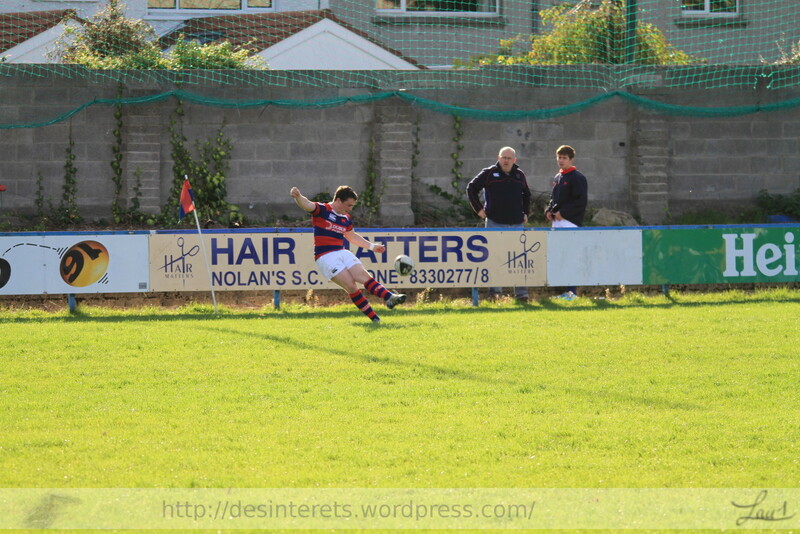 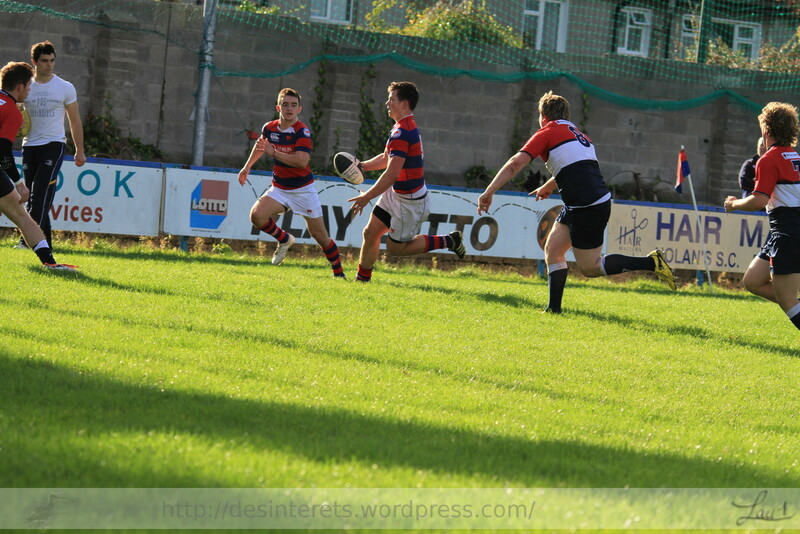 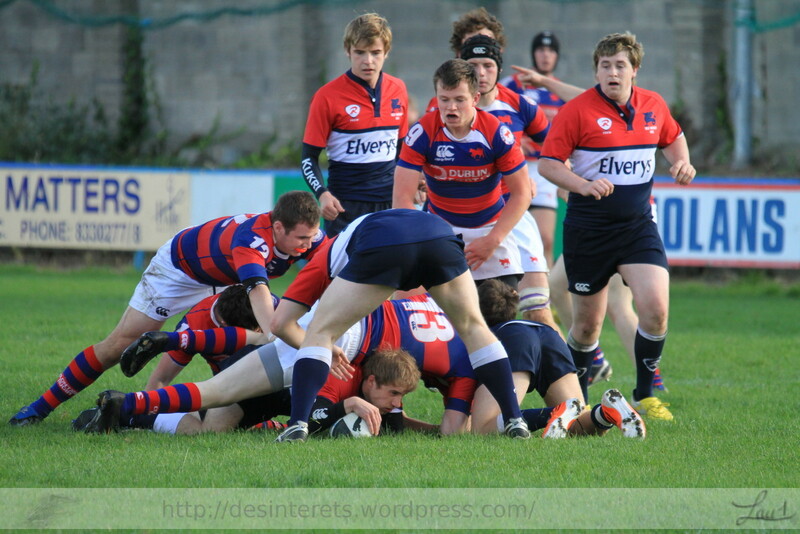 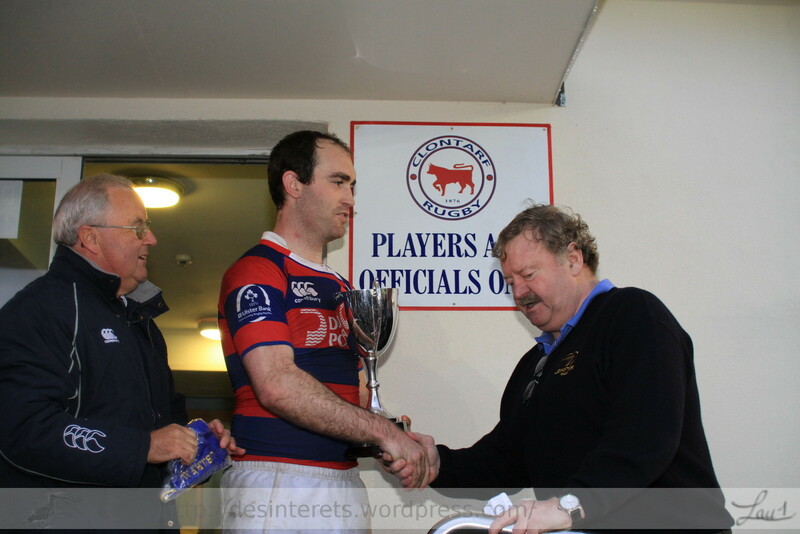 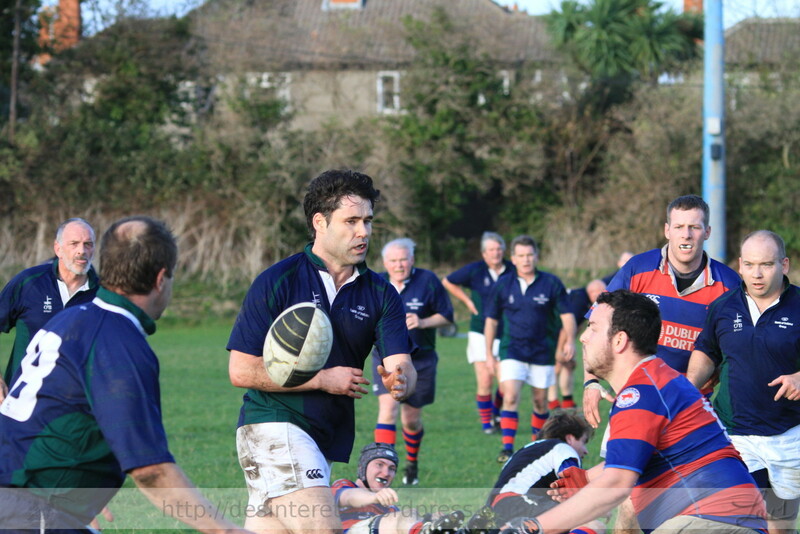 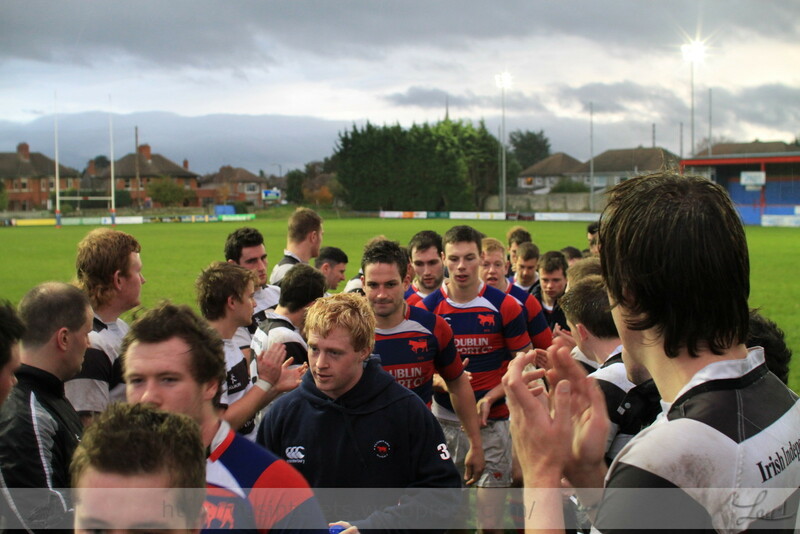 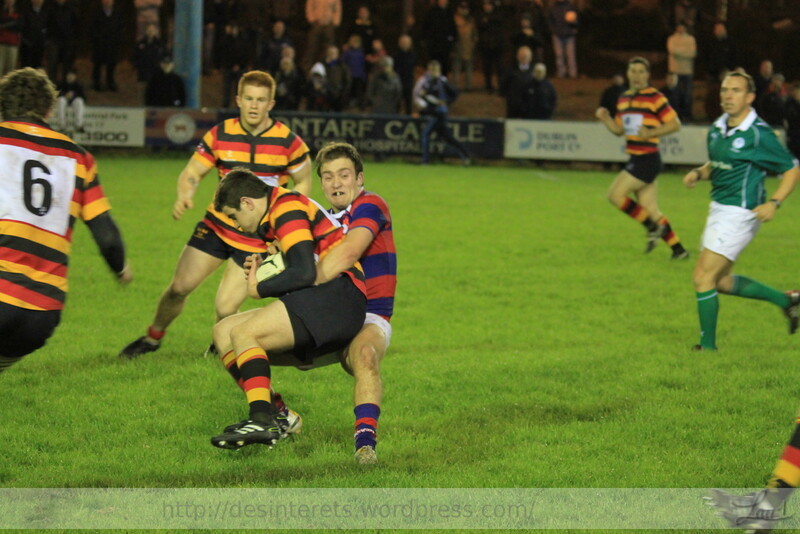 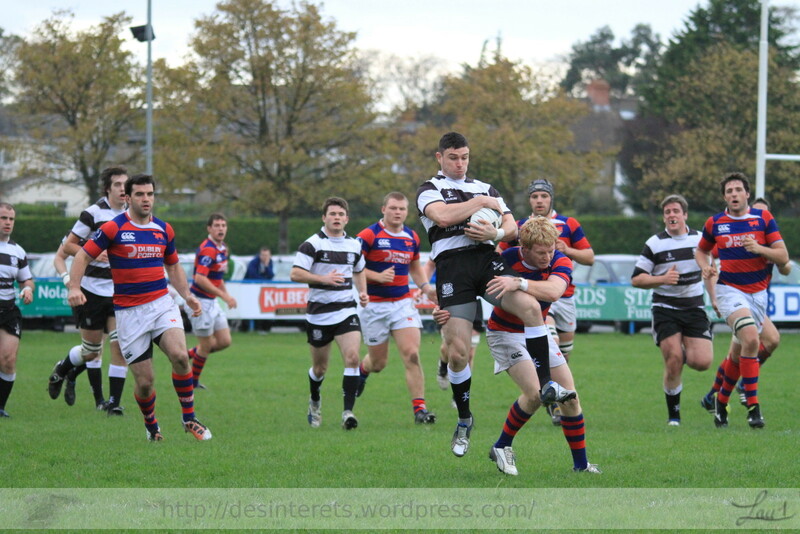 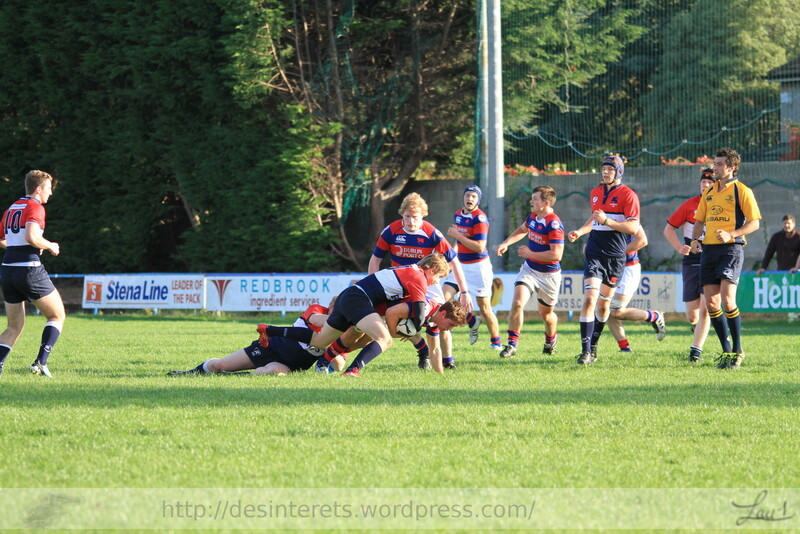 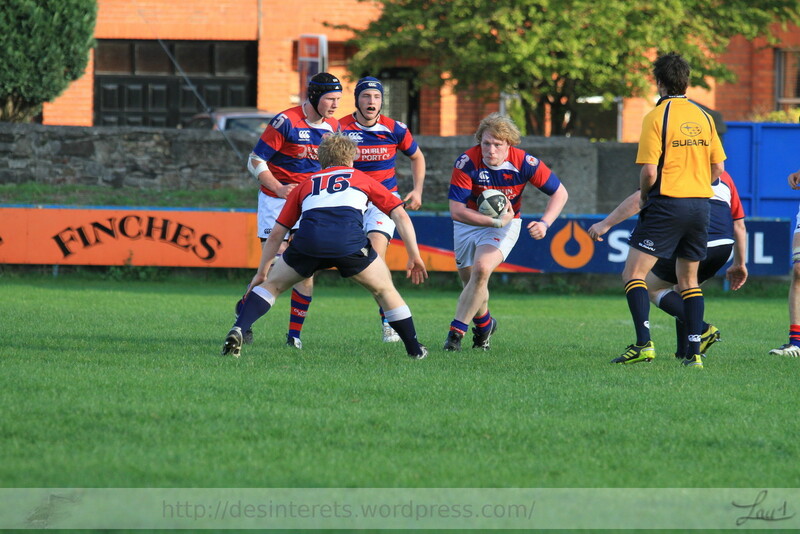 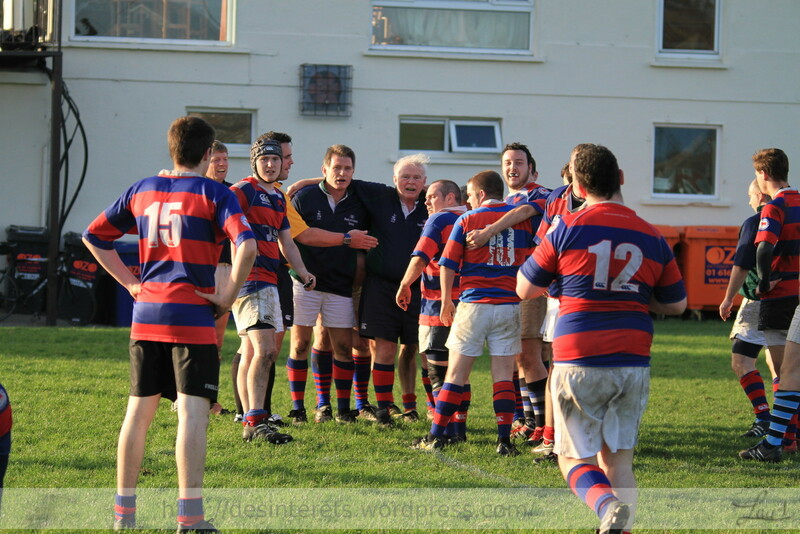 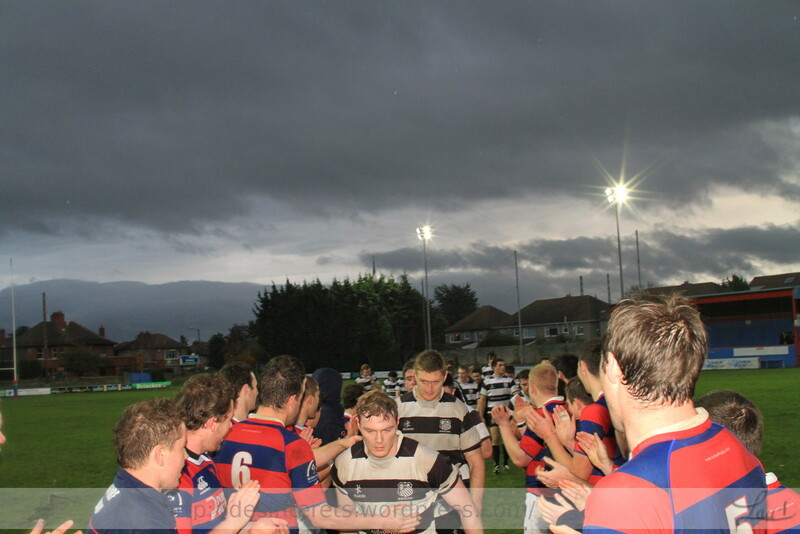 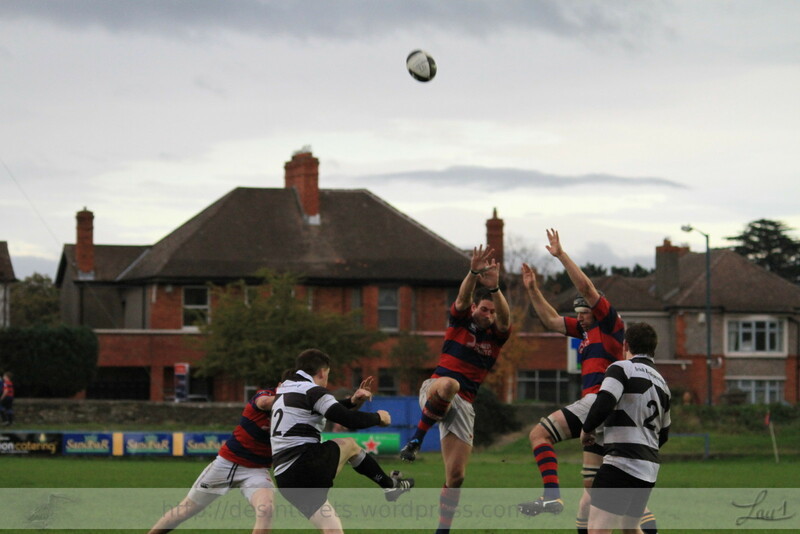 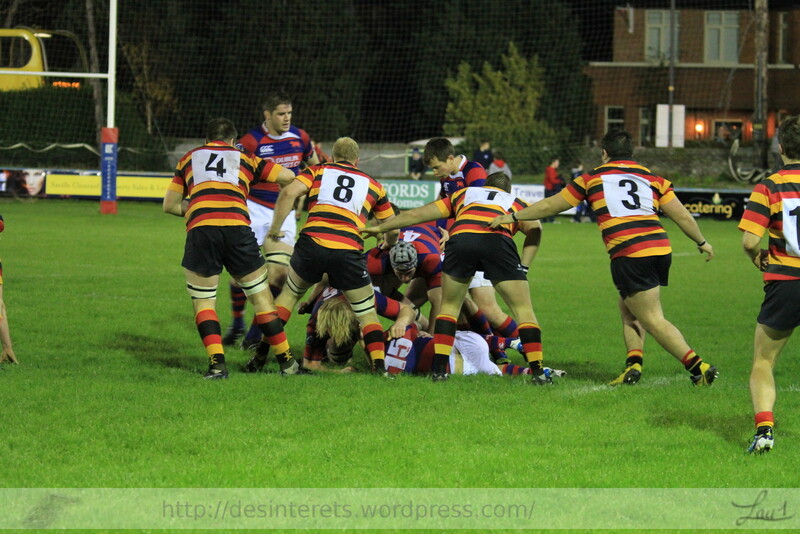 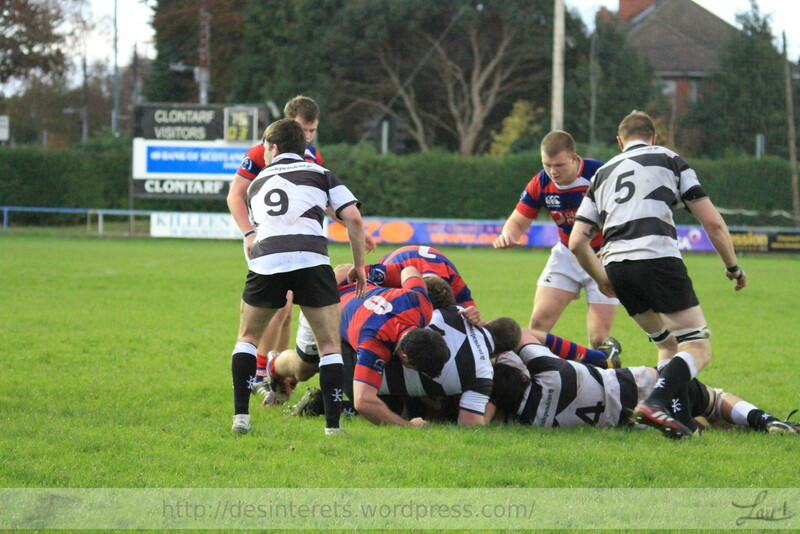 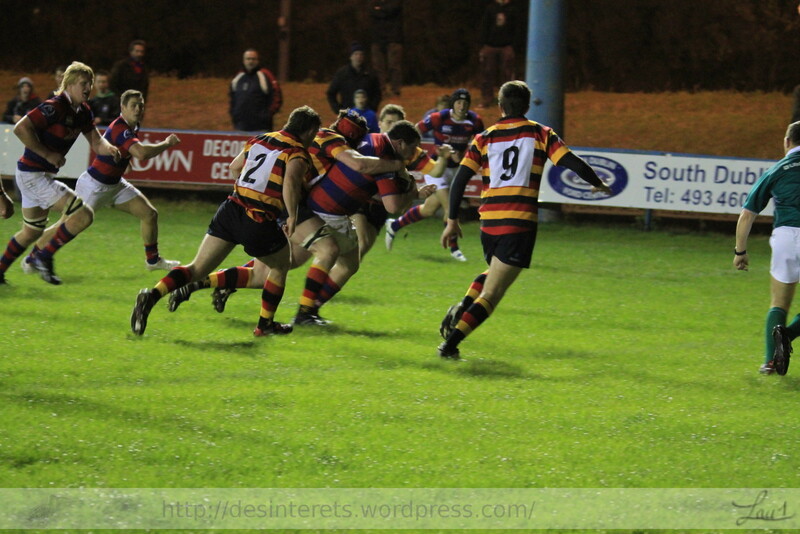 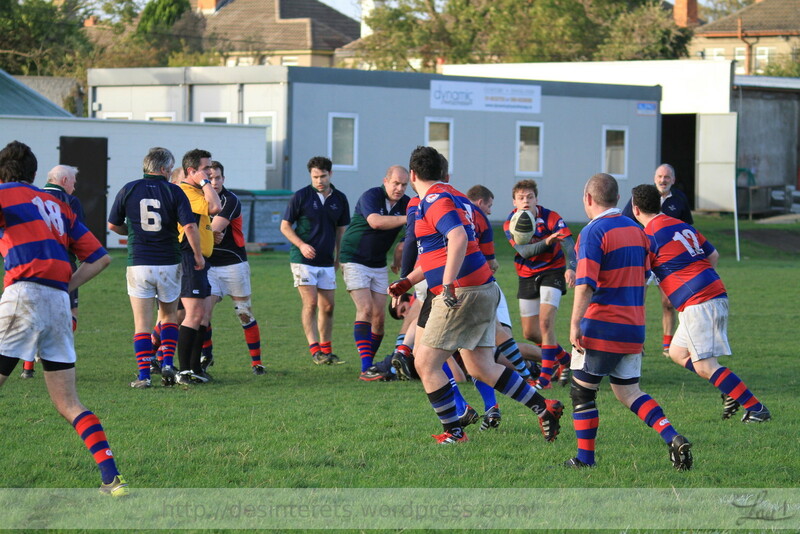 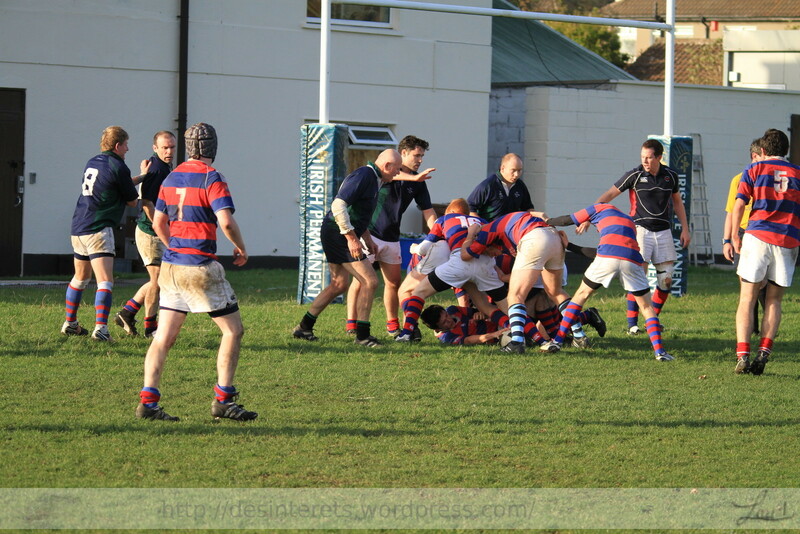 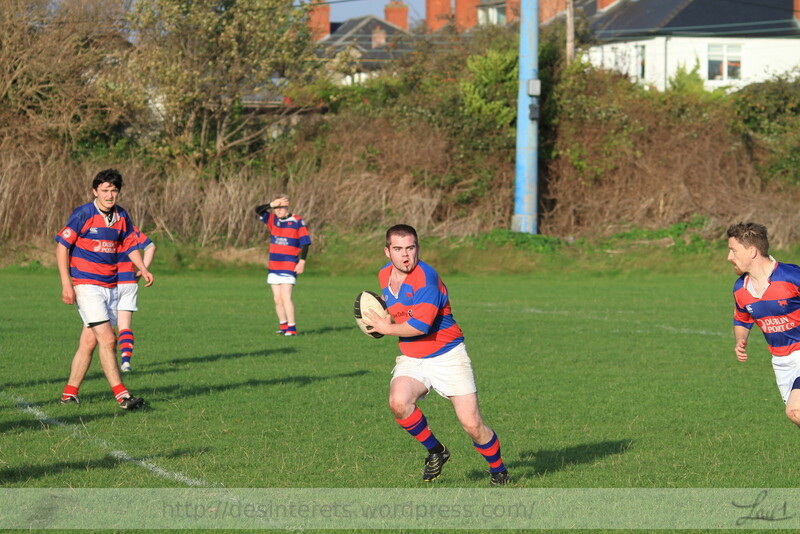 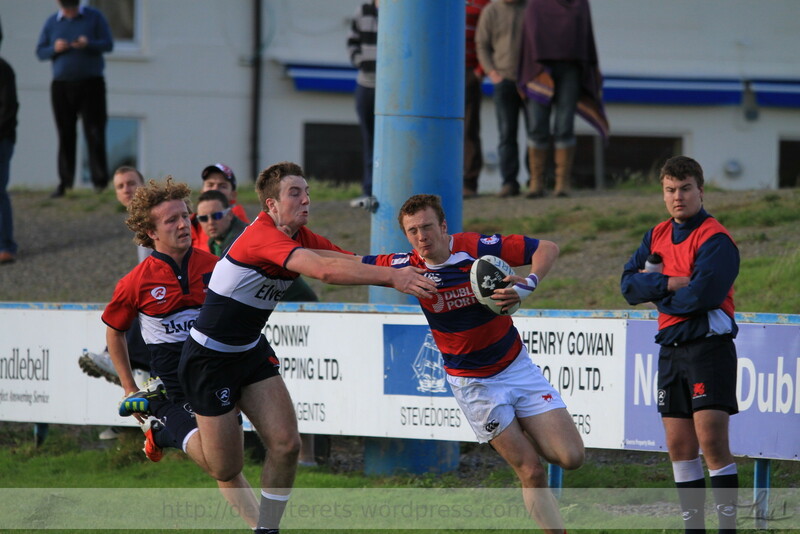 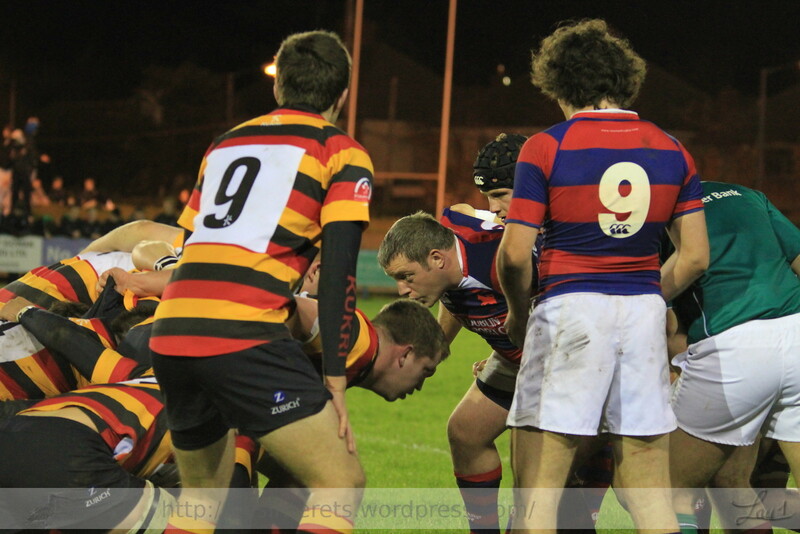 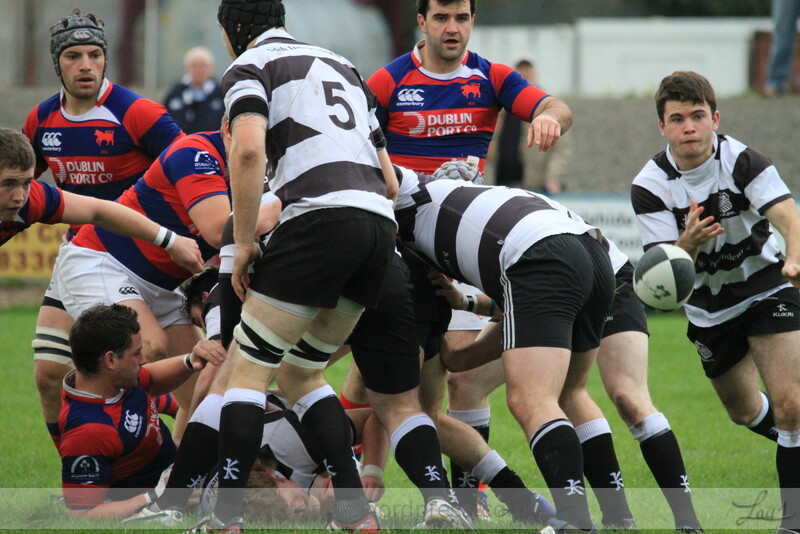 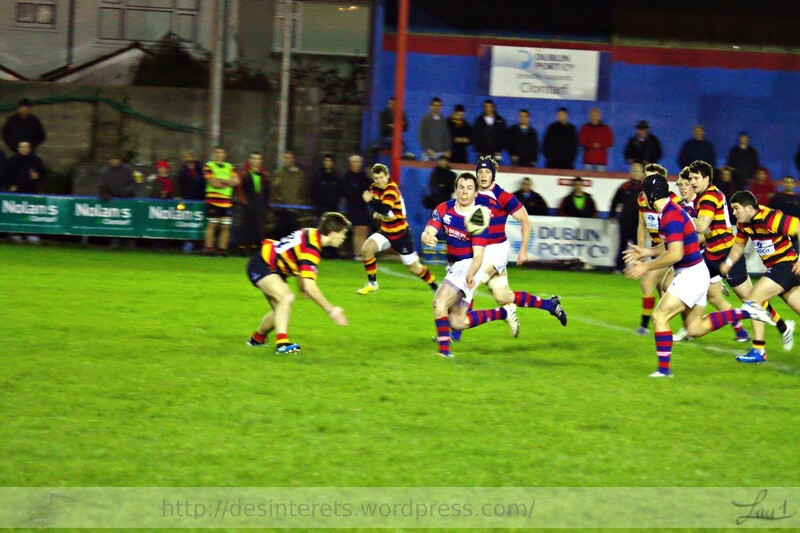 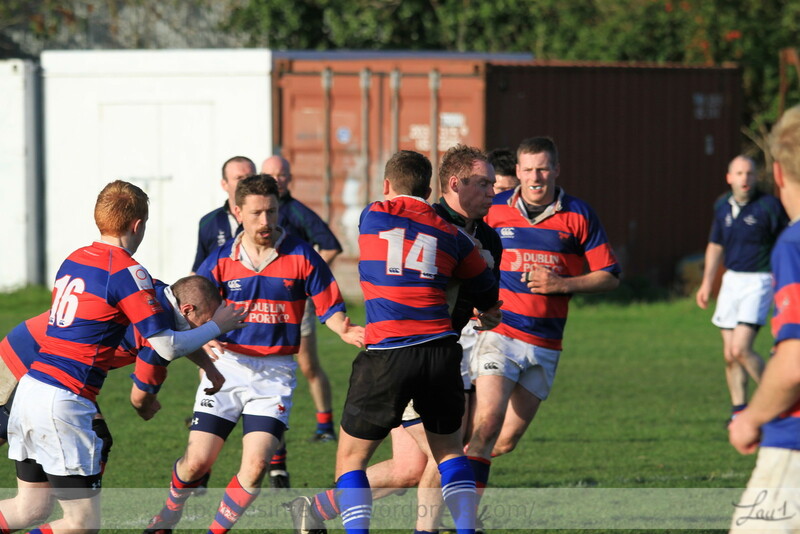 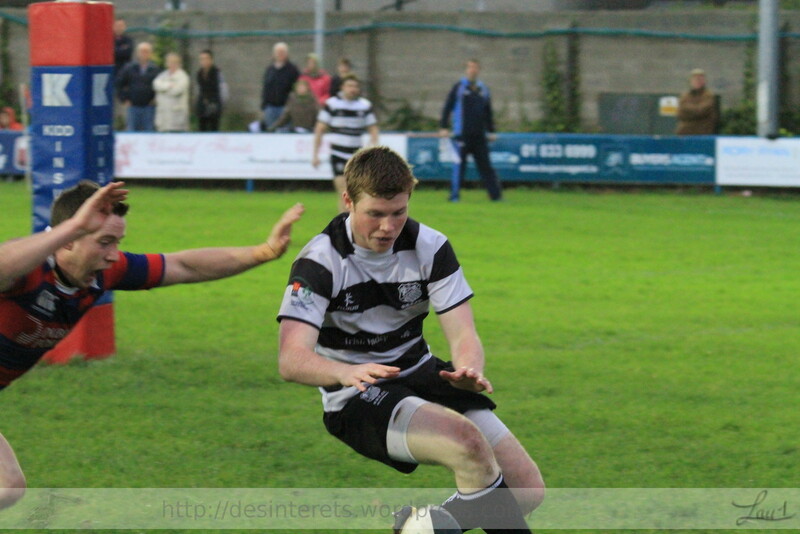 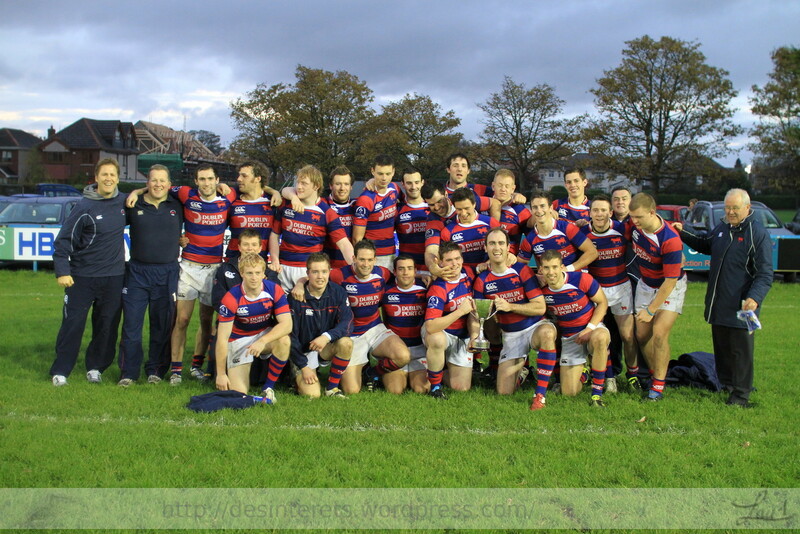 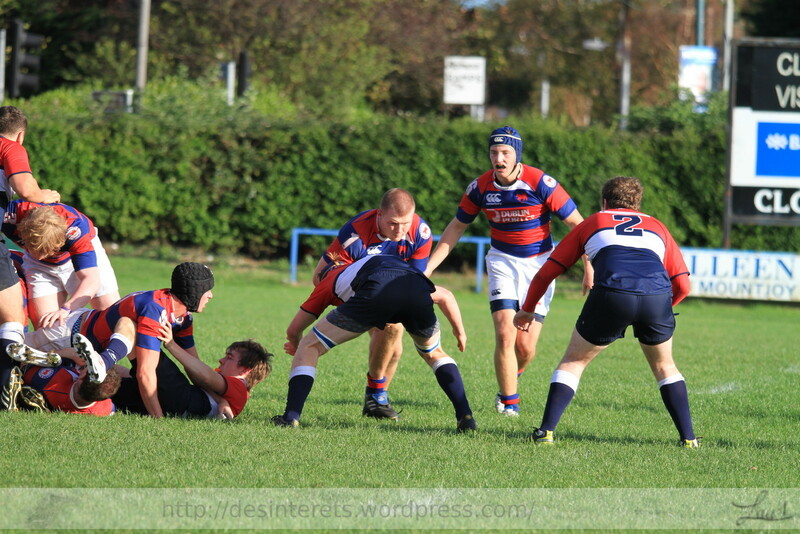 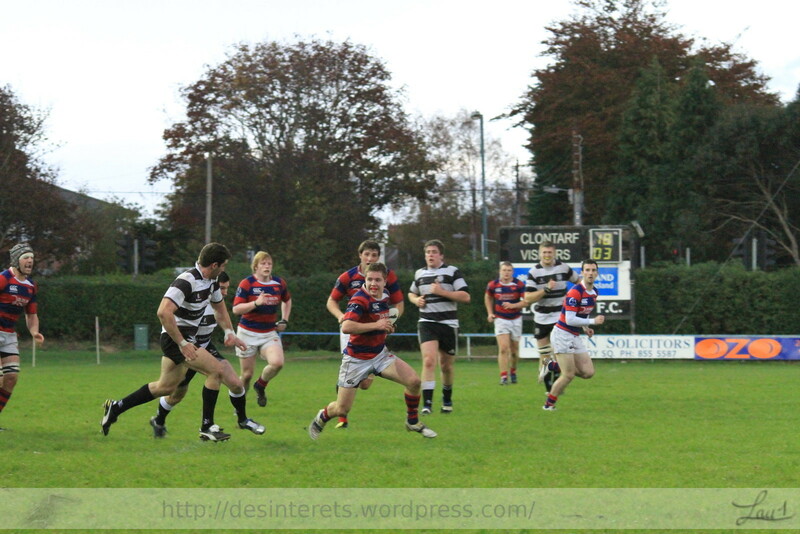 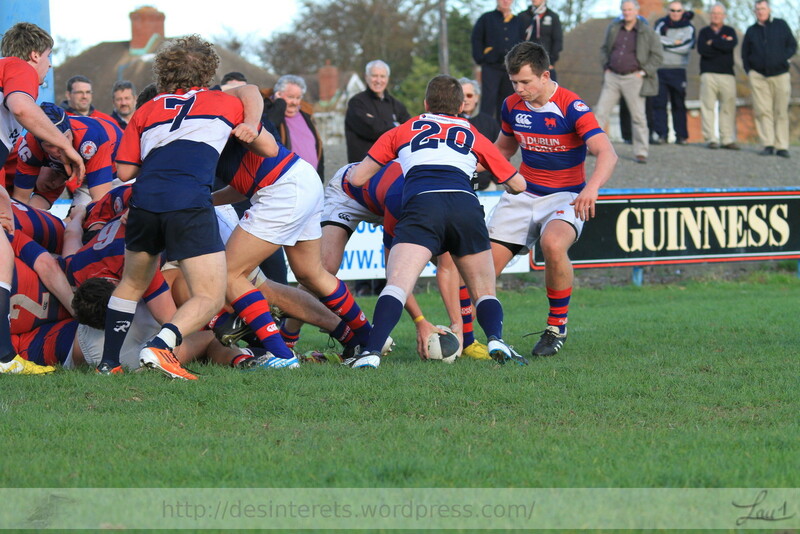 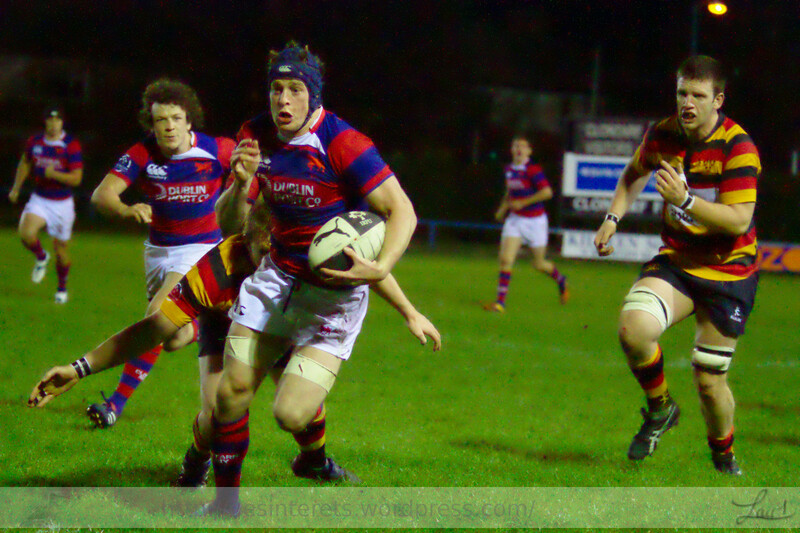 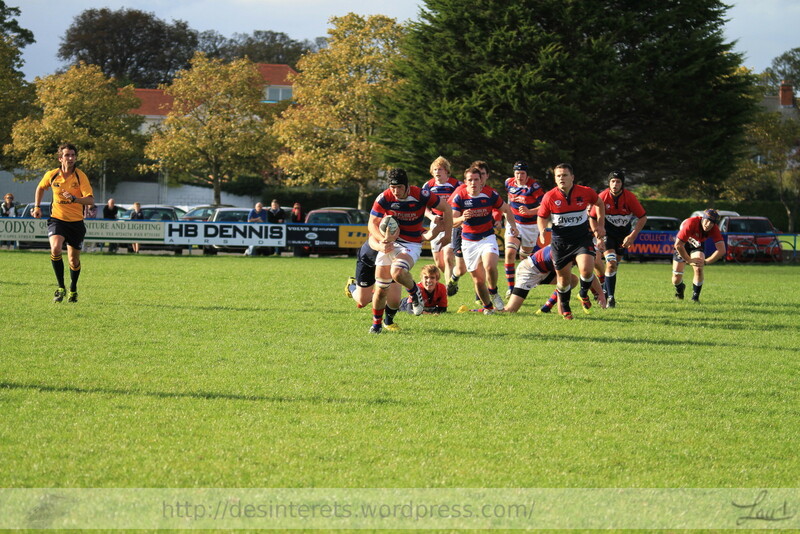 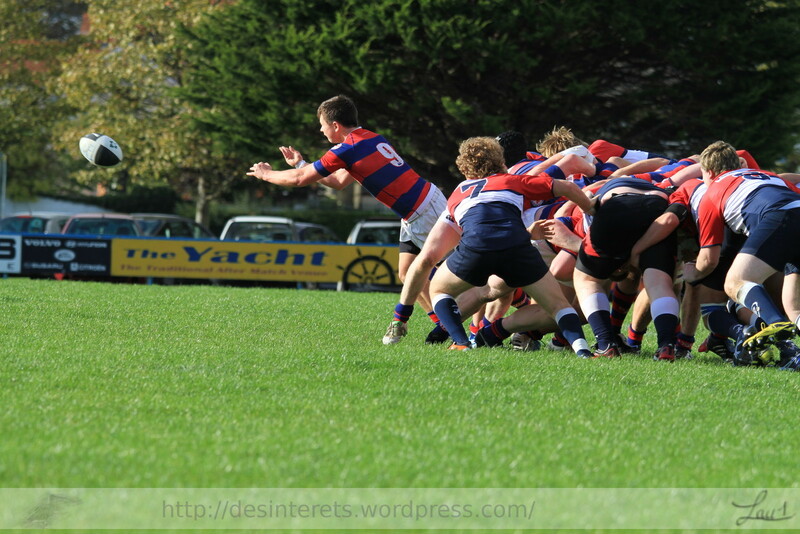 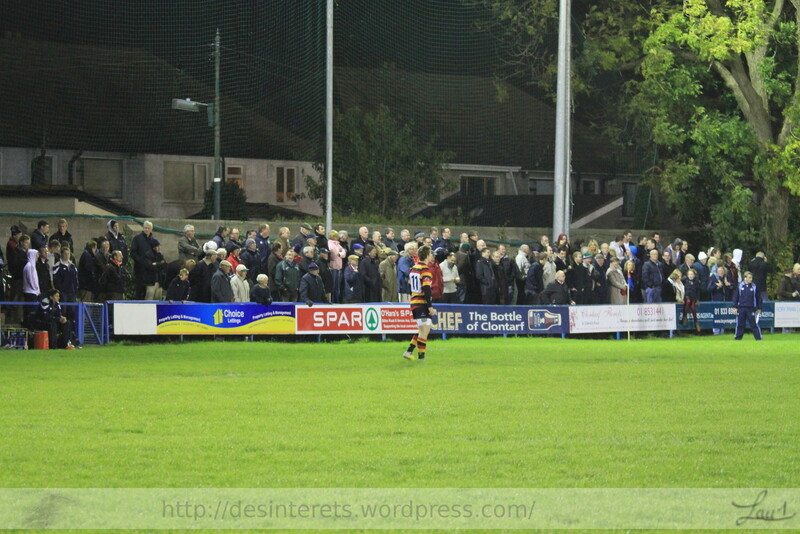 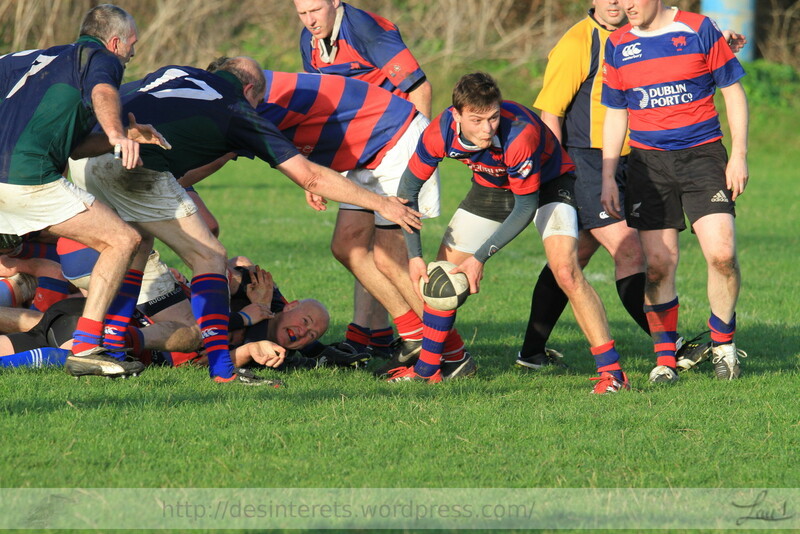 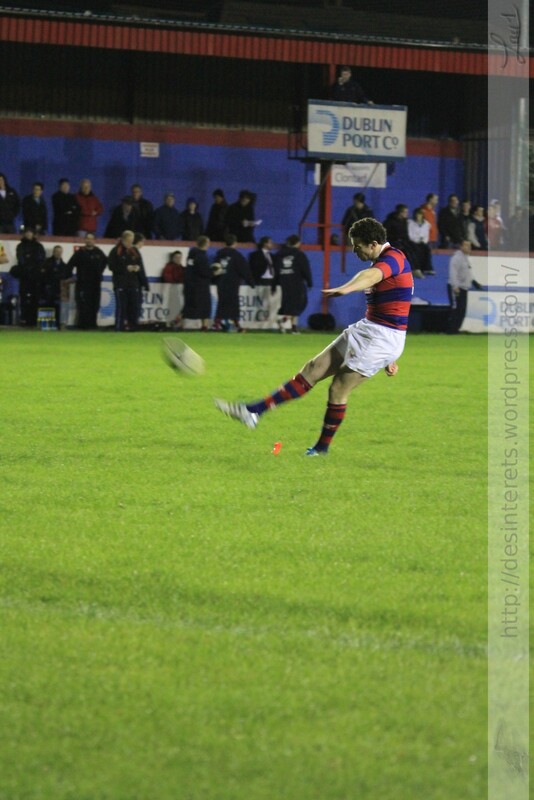 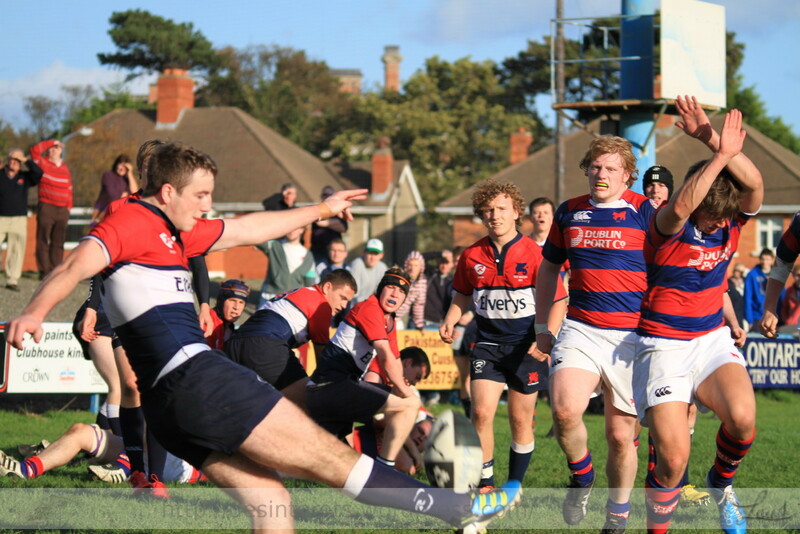 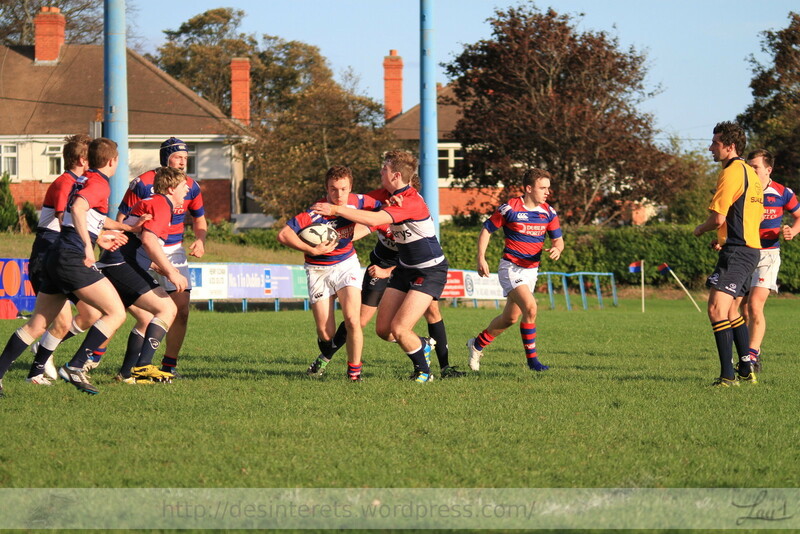 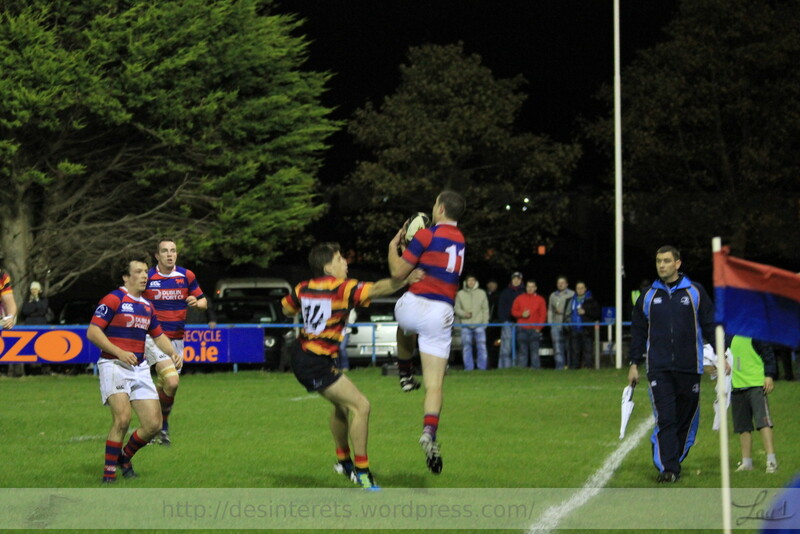 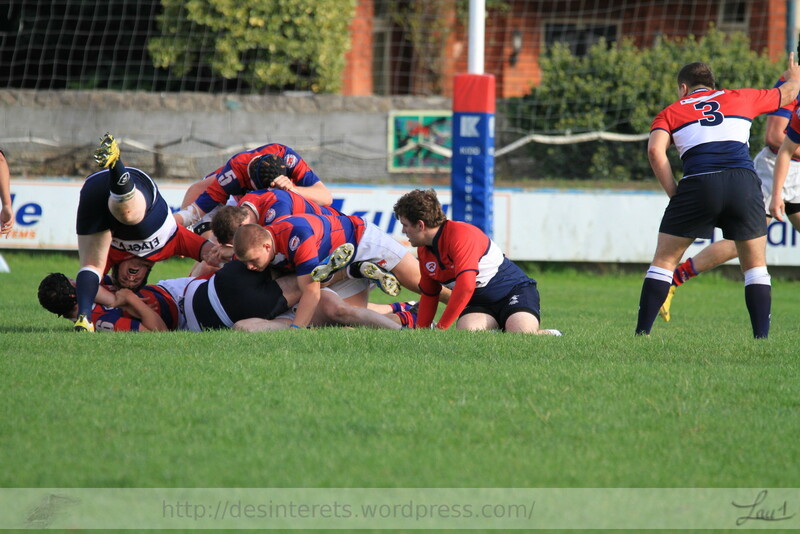 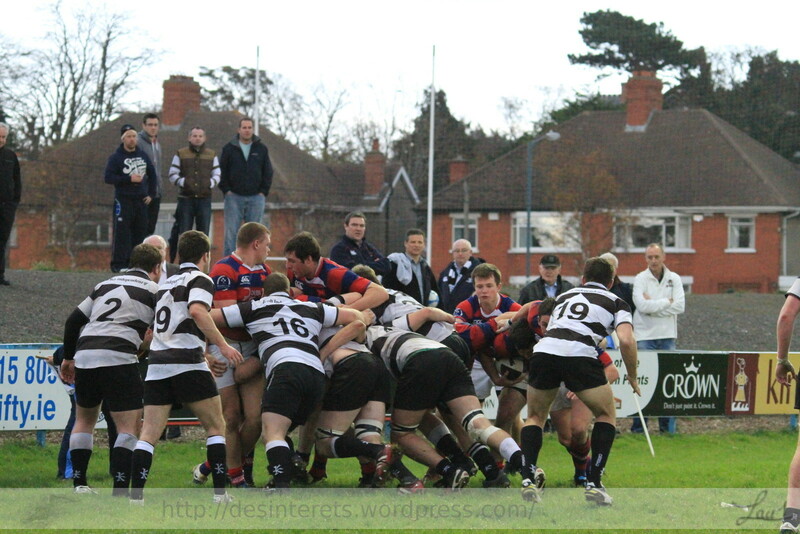 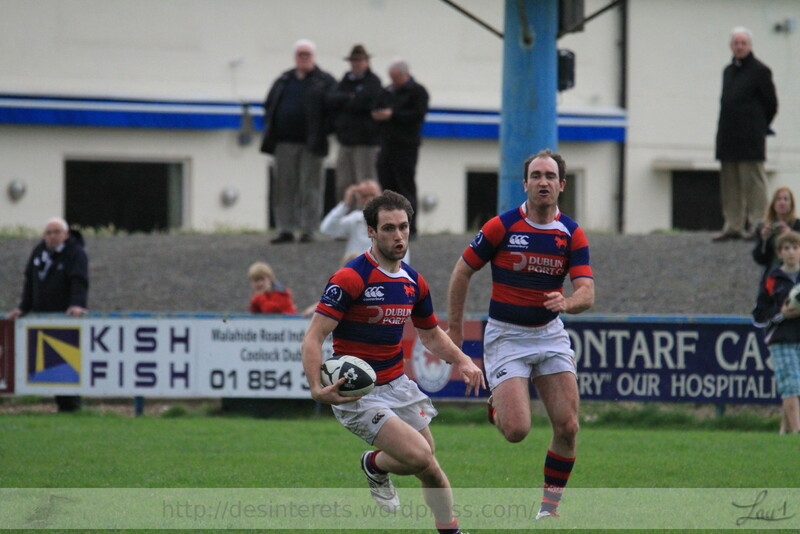 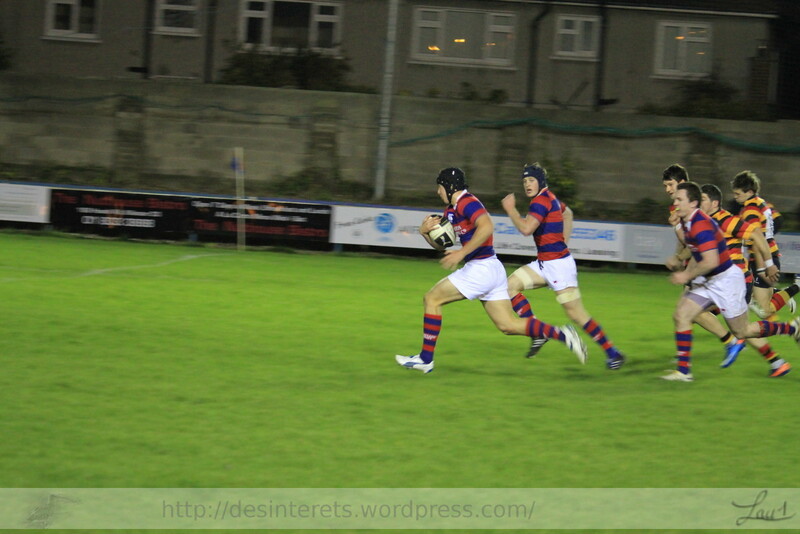 Friday night game in Castle Avenue where Clontarf Hosted Lansdowne. 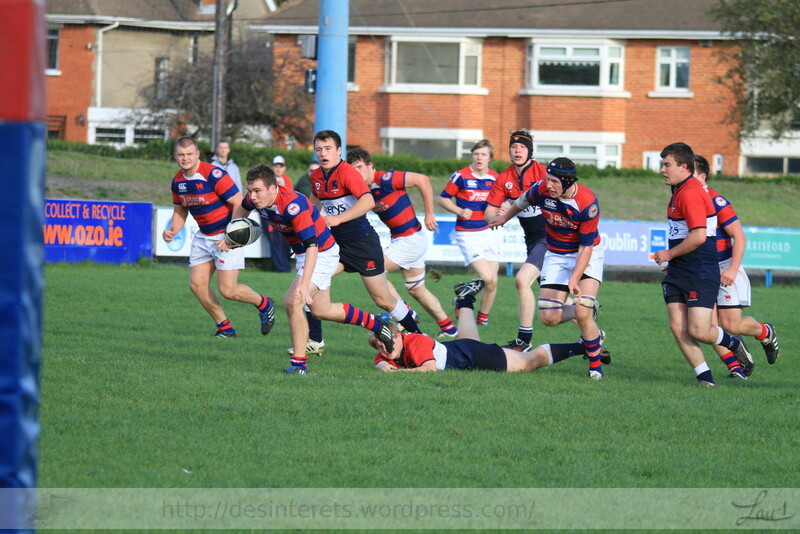 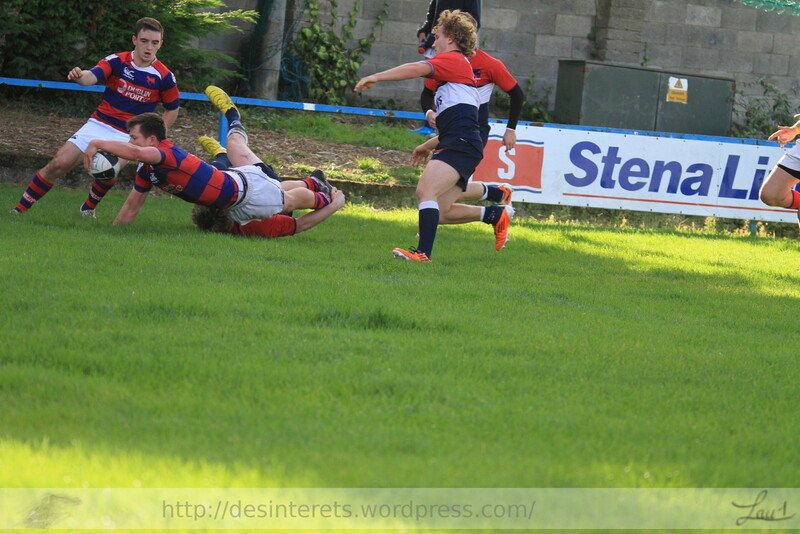 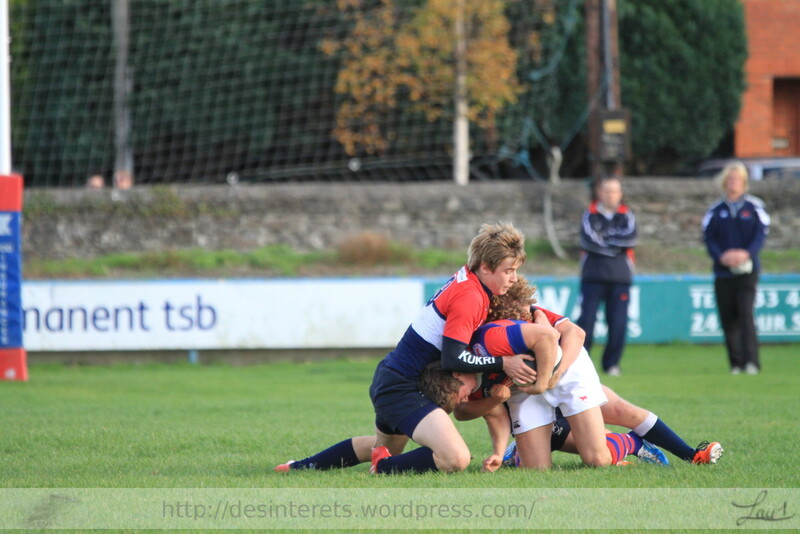 Things started very badly for Clontarf with a Try from Lansdowne in the early minutes of the first Half. 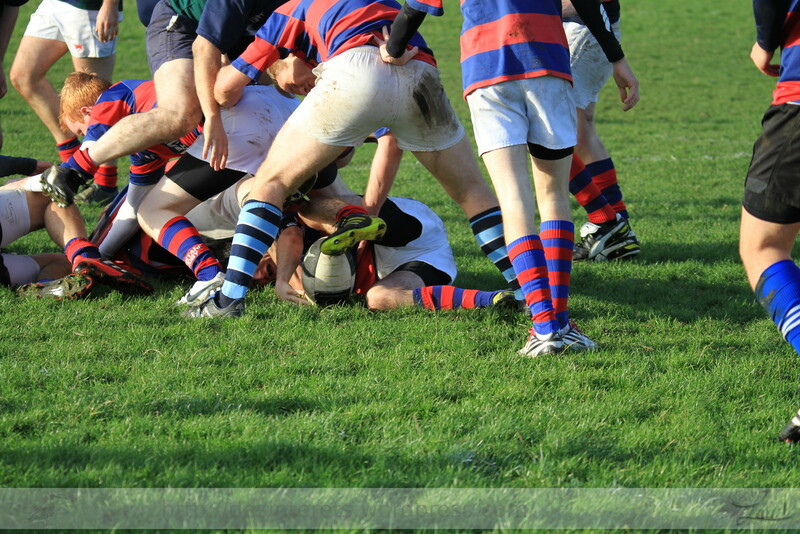 The Host clawed their way back to the front, with 3 well taken tries. 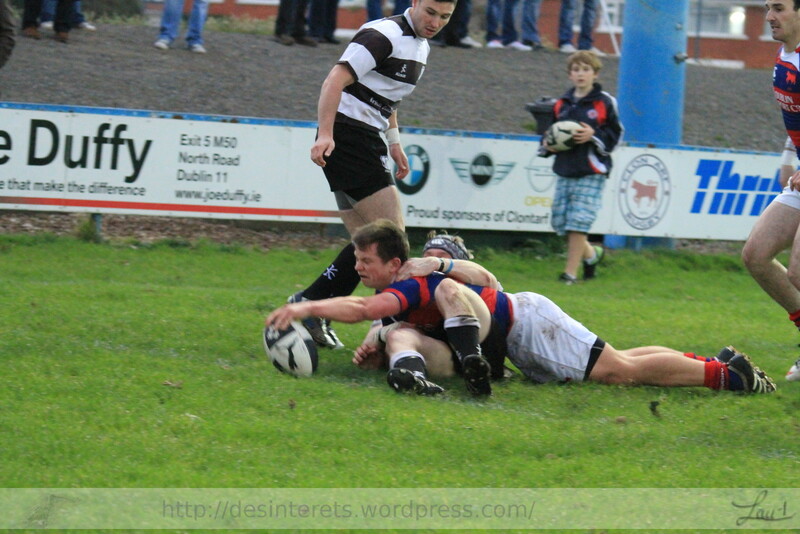 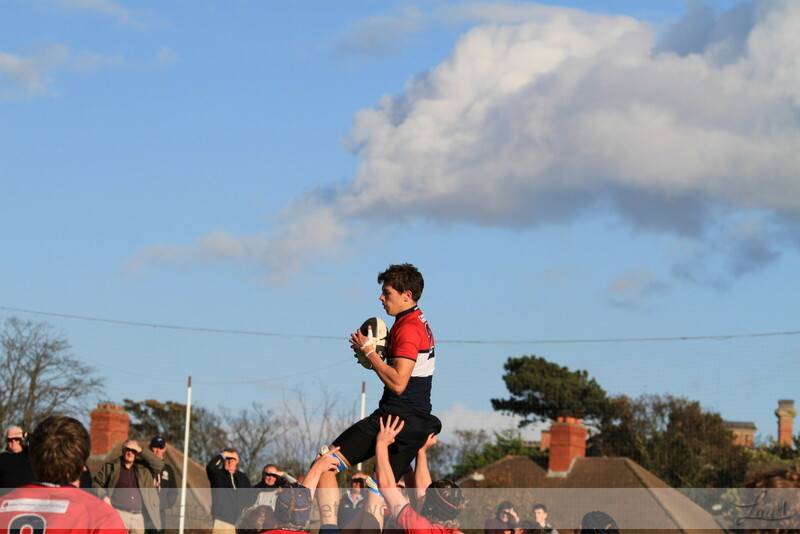 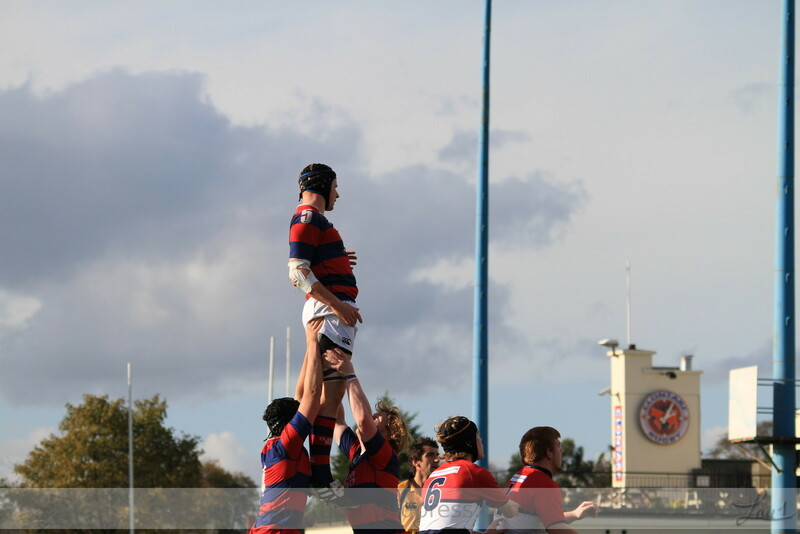 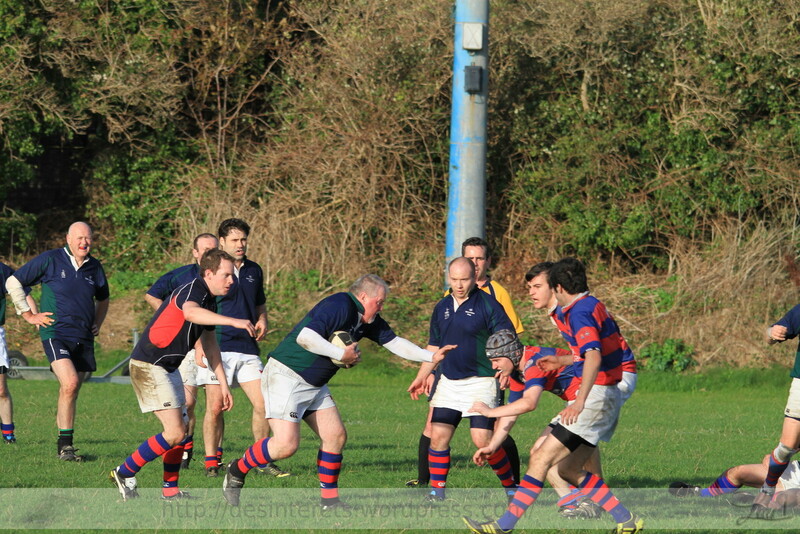 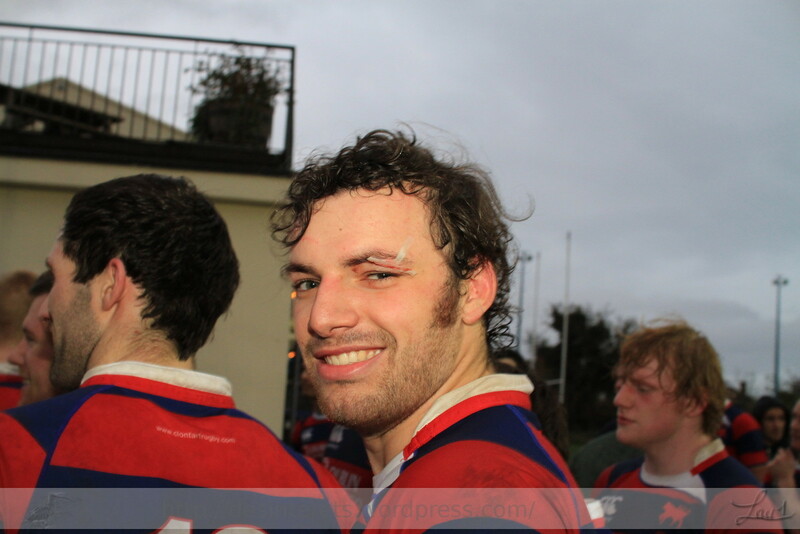 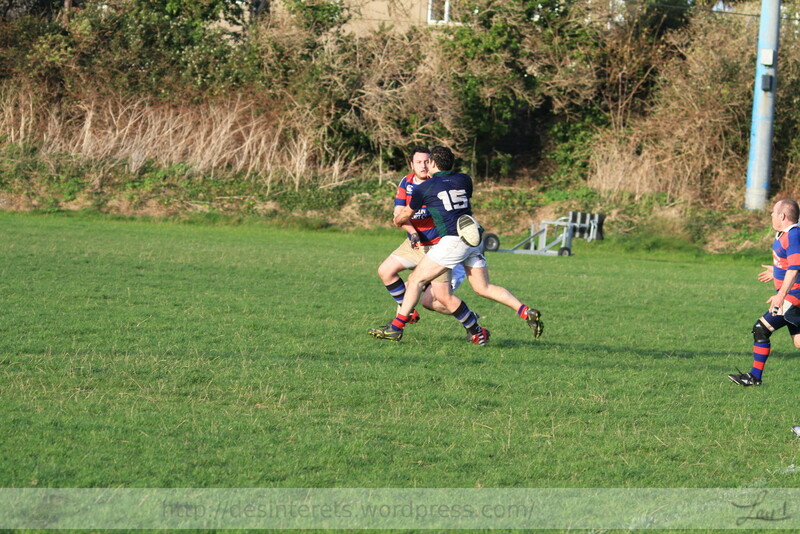 Unfortunately for the Clontarf faithfuls The second half fell short in quality and saw Clontarf only score a penalty. 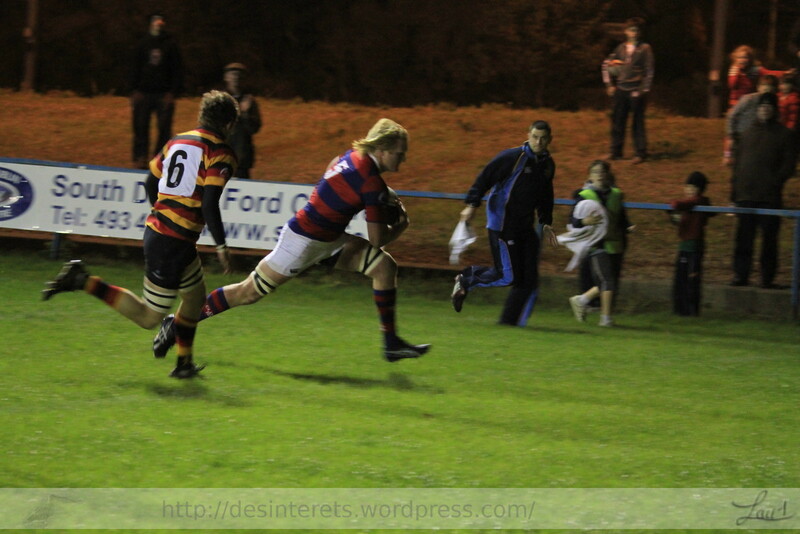 Lansdowne in the meantime scored a penalty and a try but could not get back on the scoreboard. 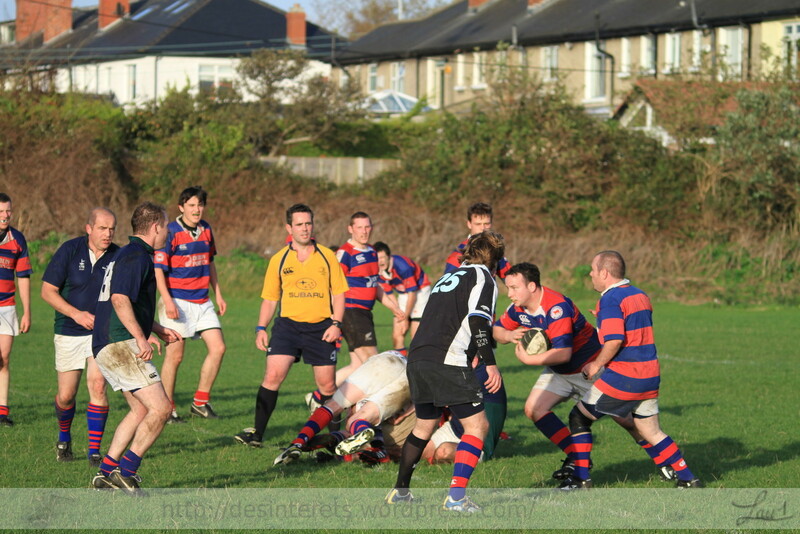 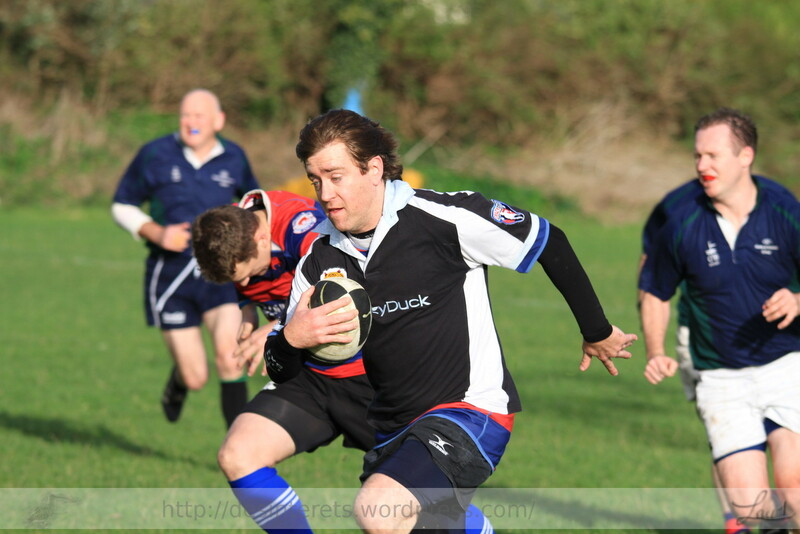 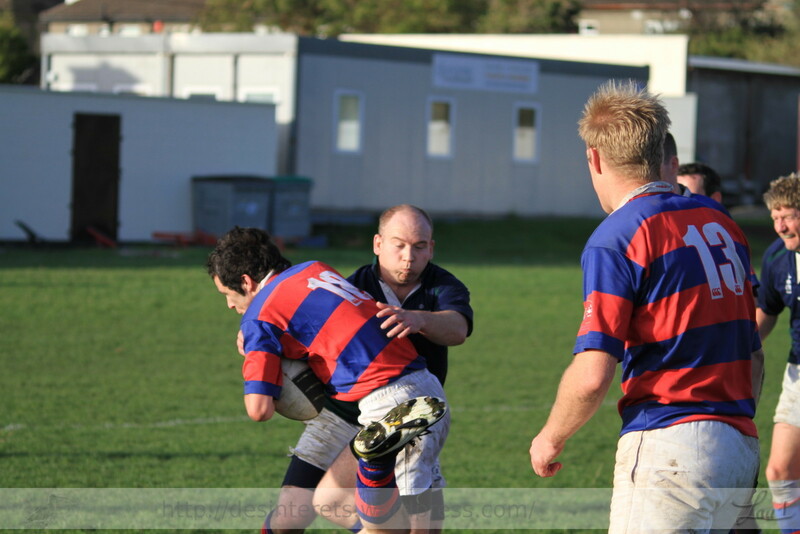 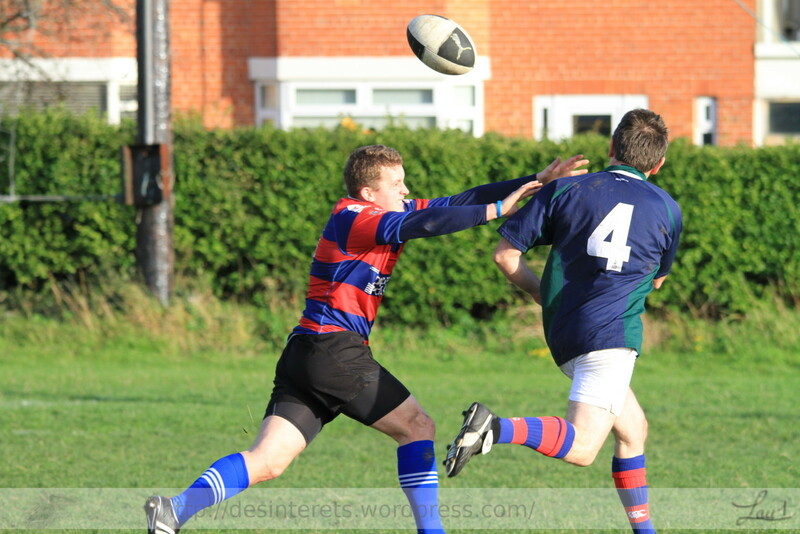 With a Sunny Afternoon coming I decided to head back to Clontarf for another go at rugby photography this week end. 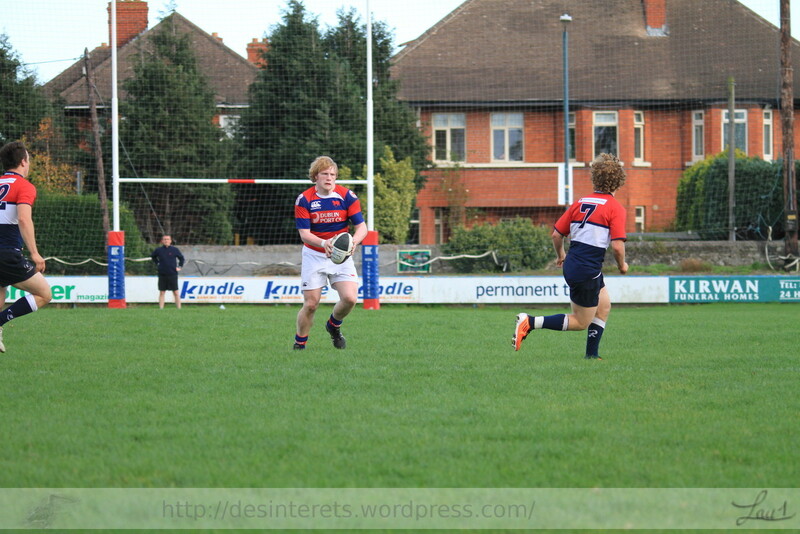 Good result for the under 21 who won the game on the last play. 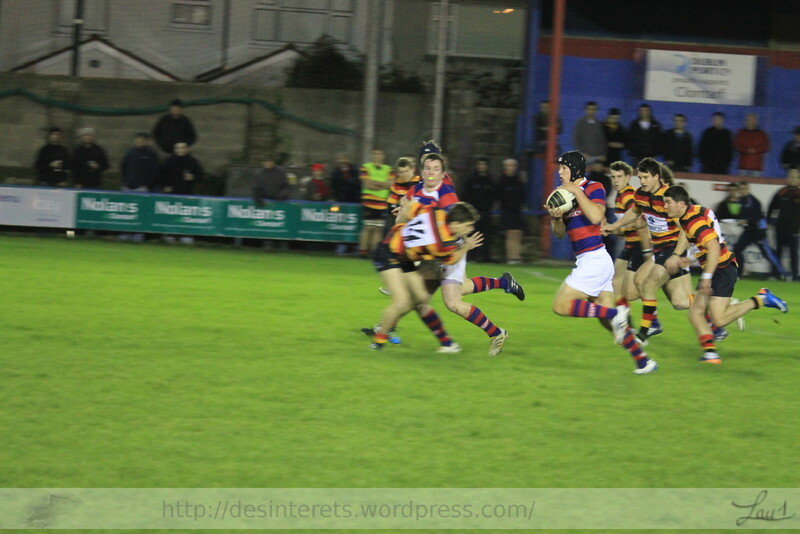 It ended 24 – 17.